Several types of data and summary plots are available for the Christmas Valley, Oregon SuperDARN radars, including real-time and archival data. Please contact the PI for specific data requests. 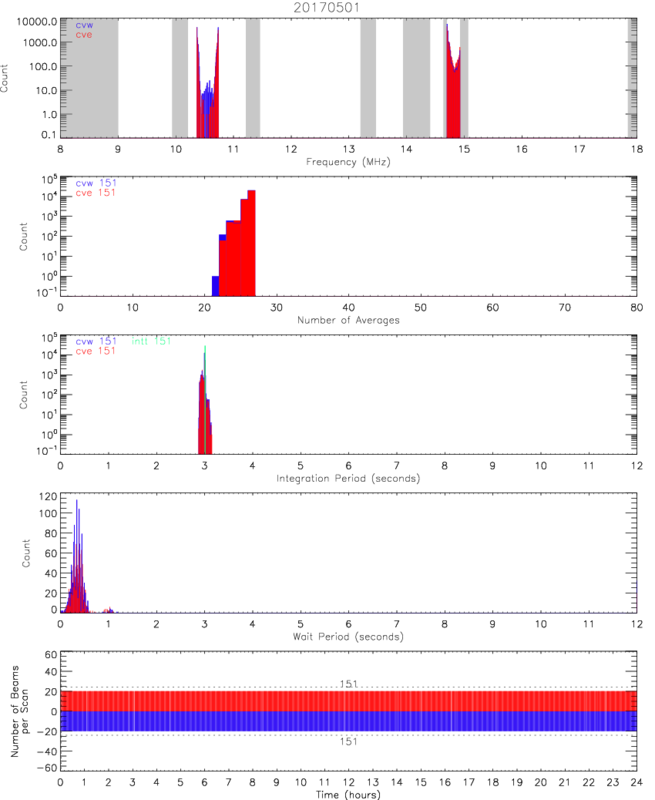 Range-Time Intensity (RTI) summary plots show various Doppler parameters (velocity, power, spectral width, elevation angle, etc.) as a function of range and time for 24-hour periods. Click on image for menu. Summary fan plots showing Doppler parameters over the Oregon fields-of-view for radar scans. Click on image for menu. Summary diagnostic plots showing details of radar operations for 24-hour periods. Click on image for menu. Please contact the PI before using any plots in a scientific presentation or paper.